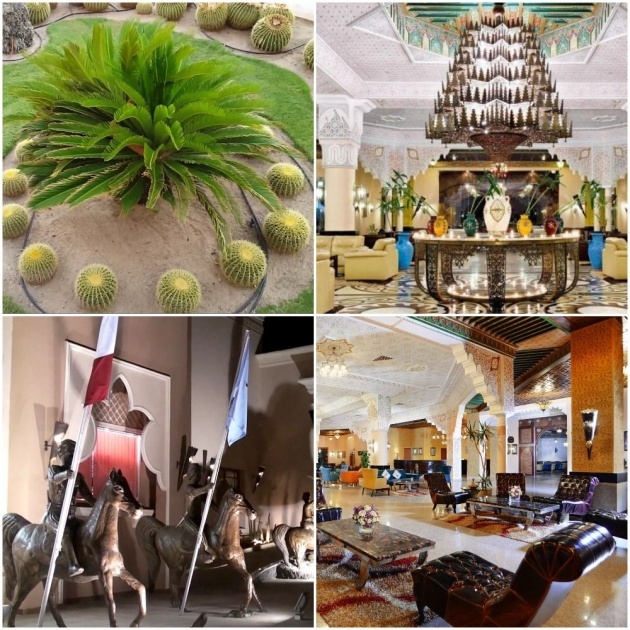 Egypt from season to season attracts to its resorts new tourists who have already managed to love this country. Surprisingly, this tourist destination combines both a beautiful beach holiday, the opportunity to get acquainted with the beautiful underwater world, and the richest excursion program of one of the oldest civilizations. 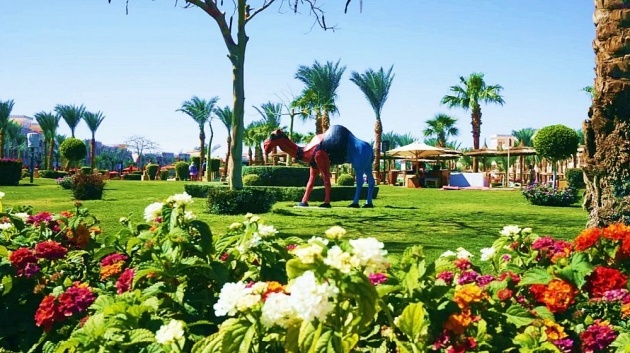 I want to tell you about one of the most beautiful holidays in Egypt. 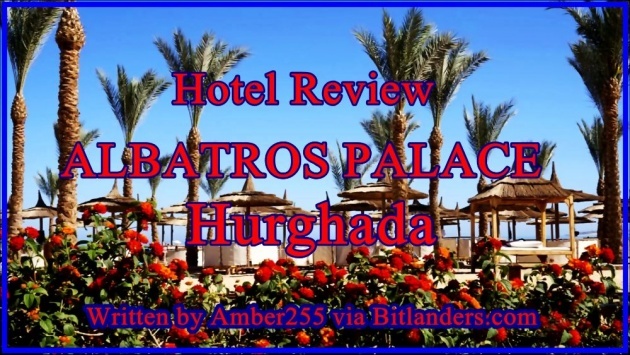 I mentioned that will write a review about the hotel we stayed in Hurghada at our last vacation in November but still did not. So today, I will try to describe this wonderful hotel to which I will come back for sure some day. 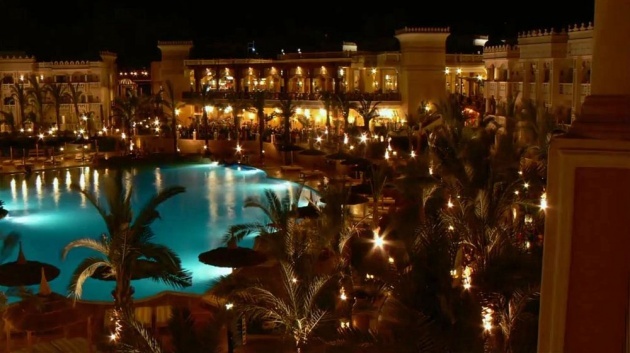 It's Pickalbatros Albatros Palace 5* hotel, just 15 km from Hurghada. I have been in Egypt many times; my family liked to spend a vacation there, so we spent many great hours in the Red Sea with my brother. Usually, we liked to stay at different hotels. So happened, that it was the first time I stayed at Albatros Palace Resort although I have stayed in other hotels of Pickalbatros resorts. Congratulations Albatros Palace Resort Hurghada is honored to be recognized by Booking.com for Guest Review Award Winners 2018, this is a time for celebration with our loyal guests. 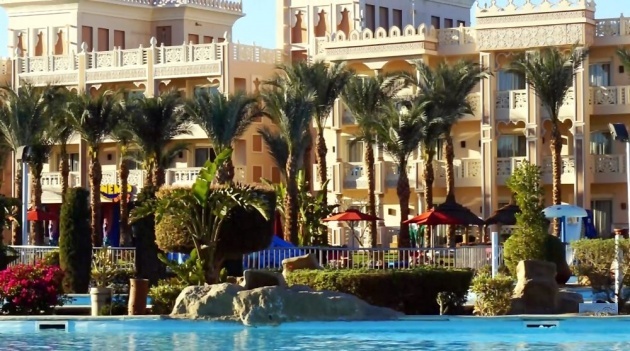 When we searched for a hotel, I have read many great reviews about Pickalbatros Albatros Palace resort, and it is a really high rated hotel in Hurghada. But we decided to choose it first because our friends recommended it. I will not write a detailed hotel review of what the restaurants or cafes are there, how many pools a hotel has or what the toilet means we found on the table of the bathroom. All that info is easy to find online. I want to talk just about my own impressions, and I may give some tips. I want to talk about my feelings after visiting this hotel. 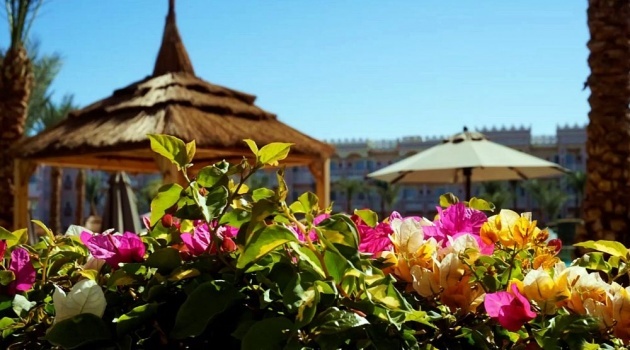 May you find something useful if thinking to visit Egypt and Pickalbatros Albatros Palace resort, or as people call it - simply an Albatros Palace resort. At the entrance to the building, 8 horses with horsemen meet all hotel guests, and if there is a wind, the flags of different countries flutter in the air. At the night-time, some lamps on the ground light up the horses, and the view is very nice and majestic. Reception looks chic with unusual decoration of walls and ceilings, leather sofas, and flowers. Free Wi-Fi is available (we were offered a password). The hotel extends along many pools and ends to the sea. The room's windows enter either to the pools or to the buildings of other hotels. If you want to change your room with a better view, they ask for extra money. Actually, it is a very usual deal in Egypt. But in some hotels, it is enough just 10 Euro for all your vacation, and you get a room with perfect view to the sea or pools, and others ask the same sum even for one day. Fortunately, we have paid for a room with pool view in advance for a special price at our tourist agency. We were given rooms almost immediately. Everything was perfect and we had no complaints. The standard rooms are very spacious. We had a large bed of 180 cm, and one narrower. The mattresses were soft; the bedding changed a couple of times a week, and the cleaning of the room was good. Even if we left a note on the door handle asking do not disturb us, the room service called to found out if there were any problems, and did we need something? Air conditioning, shower, TV, fridge - everything is working well. Of the minuses, if there is any at all, I would name absence of cabinet next to the bed, only a tabletop. And the ants crawled a couple times on the balcony, but there is a spray in the bathroom, and the room cleaners somehow fought with them. The territory is very large, with a lot of greenery for such as sandy Egypt. The staff watered grass all the time, and palm trees on the territory look well-groomed. If you come the first time, take a walk through all territory and get familiar with all the facilities there. It is easy to get lost, but just on the first day. Then you will quickly learn where are all the restaurants, bars, places for entertainments, which pools are warm, and which not. The beauty of the territory you can see from the second floor's terrace. It is a long place with many pools in the middle that extends to the sea. But the first, of course, you get familiar with a reception after your arrival. The reception has its own beauty, a great interesting decor. Everything is thought-out to the smallest details. You feel like entering the real palace of the Sheikh. Everything so majestic, so great, so big space of Egyptian spirit. Restaurants and bars are also very nicely decorated, especially pleased Asian and Tagine restaurants, as well as a bar on the second floor. Just decorators chose a great design for this hotel. The building is really impressive. Esthetics get constant visual pleasure. There are enough places for taking pictures too. And while you walk, you will meet many people who just walk as you with a camera and take photos or filming. Actually, you can stop at any corner and make the photos, because everything there has its charm. On the territory, there are camels of a different color. And the giant wonder-fishes, somehow thrown on the land, frolic on the soft grass. Also, the territory is enough green if have in mind how sandy and deserted is Egypt. It looks, palm trees and flowers are maintained well here, and it pleases the eyes. There are many blooming flowers and scrubs. The general impression is very warm. It is impossible not to enjoy all the beauty around, inside and outside. The food is impressive and organized in 6 restaurants almost around the clock. It is difficult to stay hungry there. 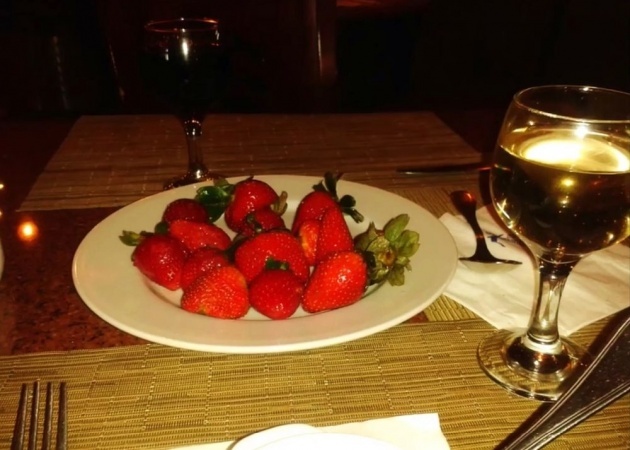 Almost all restaurants are close by, and that is very convenient without any problems to choose the right food for yourself. Food, in spite of 6 themed restaurants, is not very diverse, but everything is tasty, and it is very important. In addition to restaurants, there are several bars, or you can bring your food to the outdoor terrace. There are enough free places everywhere. There is an interesting bar which is right in the pool, and you can sit inside and outside. The menu is different, and you can always find something. Grill dishes, various fishes, different soups in all restaurants. We had lunch in Mediterranean and Italian restaurants, and we dined in Mexican and German restaurants. The food was very tasty, and it varied. Even around the pool, they friend the fish every day. We found a lot of fresh vegetables in a different form. Of course, their sausages are not tasty; they look like soy. In the morning, we ate delicious pastries, but in the evening, I did not like cakes. But in general, no one will starve here. We drank some cocktails and wine in the evenings in the bar on the second floor. Give a dollar to the waiters, and they will bring drinks to you all evening. For breakfast, the products were always the same; the choice was not large, especially for children. Eggs in all kinds, breakfast cereals, etc., such a standard set. Porridge only cold dairy rice. Juices in the bar are natural: mango, guava, orange, pineapple. Coffee at the reception - natural black, latte, cappuccino, etc. And a fresh orange juice for free. The ice cream was delicious, we could get it in the afternoon, and in the evening. There are 3 huge different levels and forms' pools; 4 jacuzzies are closer to the beach. We had no problems with sun beds, maybe because the hotel was not fully accommodated at this time of year, but we did not need to get up too early to get sunbeds. Also, there are excellent sunbeds houses, for free. Sunbeds are comfortable, wooden, with mattresses, and we changed towels every day (return in the evening and get them clean and fresh in the morning). In general, the territory of the hotel is huge, and there are swimming pools along the entire length. In one of the pools, there was a bar where we got ice cream and cocktails. You can walk to the nearby slides of the Albatross Beach hotel. I heard that children playgrounds are better there, and people say that even children's pool is more interesting, and its the entrance is smooth. But myself, I cannot prove it - we have not been there. The beach on the neighboring Albatross Beach is better; it is on the left side. At Pickalbatros Albatros Palace, the sea from 6 am is just to the knees deep to the entire length of the bridge. Those low tides are awful; they take away all the sea water. But how many snails, crabs, starfish we could see! The beach is sandy. Swimming shoes are imperative, but we always swam from the pier. The water is warm, clean, there are several islands of the reef, the fish were mostly small, but still, there is something to see. If you like to swim, better go to the bridge. There is a little coral wall even with exotic fishes. The animation is not intrusive; there are all the standard games - beach volleyball, water aerobics, and other entertainments. For children: mini-disco, evening shows (cobra shows watched twice, acrobats, local folklore, etc.). I recommend the cobra show. Who has not seen, there is a python show in the finale. In local folklore, in the last dance with skirts, the kid surprised us. Two men danced as usual, and the little baby of 2-3 years old was spinning on the stage on a level with adults. I was very surprised. Then they let the volunteers try it. At the reception, every evening there was live music with dances. Once a week, there is a mini disco and show on the beach. We were on the foam beach disco and a fire show. 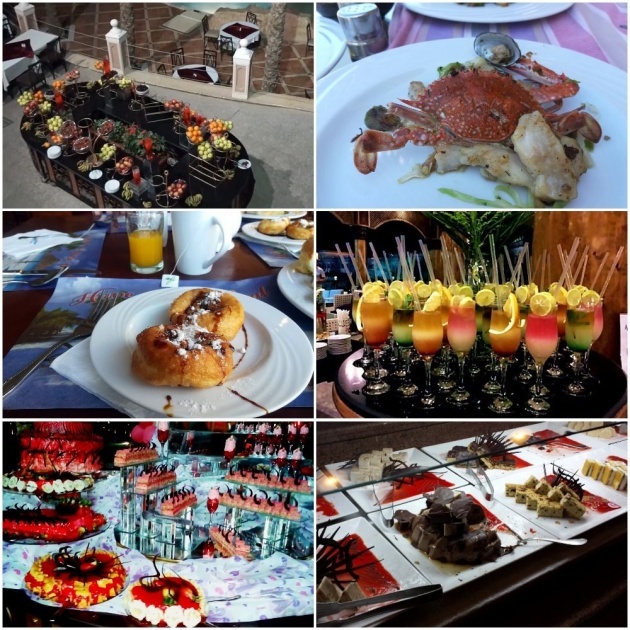 If all entertainment at the hotel is not enough or not interesting for you, then you can always go to the city, visit a nightclub, take a walk along the beautiful marina shore or go shopping. The hotel left a very good impression: decent service, food, territory, near the bridge 5 coral reefs, fish of all types and varieties, saw skates, squid, etc. Of course, most corals are not alive, gray. But there is bright not big coral reef on the left, the second one, so swim with the mask, you will not regret - it is so beautiful! Lawns and shrubs are in immaculate condition, very neat and well maintained. 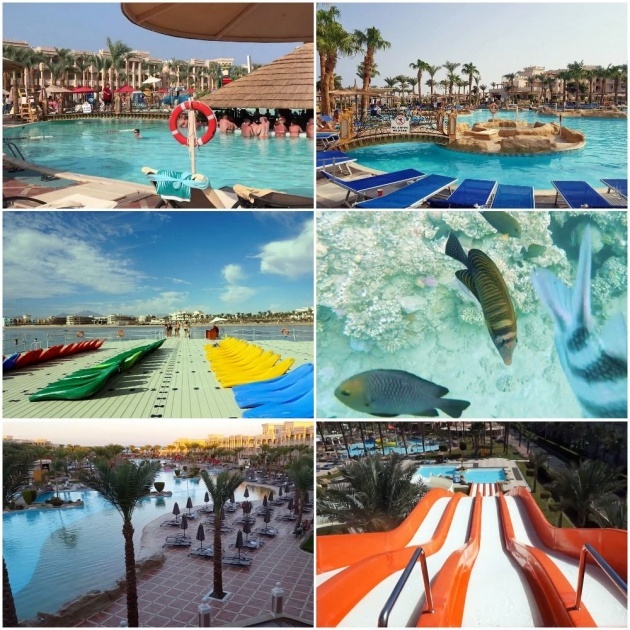 Albatros Palace Resort delivers a beautiful beach side oasis with a wide variety of activities and attractions. The distinction of this luxurious 5-star resort lies in its great architecture, warm hospitality, finest accommodation, dining and facilities. Albatros Palace Resort ensures guest comfort in every way and provides rooms and suites designed with a true sense of luxury. At this all inclusive resort, there are more opportunities for fun and adventure than you will have time to indulge in with just one visit. I have no complaints about this hotel. Actually, we came to have a good time, to entertain, and to visit some interesting places. We got all we have planned, and much more: a bunch of good emotions that brought back home. Is it worth to spend your vacation in such not very calm world's place like Egypt? I am talking about terror act that happened not long ago, and some Vietnamese tourists have dead. It is so pitied that such things are happening in our world. Inhumanly things that darken days that could be full of new impressions and joy. Anyway, we felt secure there as everywhere are secure check-ins. You cannot get into the hotel without passing a secure check-in. I hope, the world will become safer one day, and all tourists will travel around the world without fear of being attacked. Will I come back again to Egypt? Yes, without any doubt. Would I choose the Albatros Palace Resort again? Yes, I would like to come and stay there again. The hotel has everything we need for the adults and children's recreation. The territory of the hotel is, of course, large and in an interesting style. The staff copes with their duties; the guys are positive and unobtrusive, always in good spirits. To summarize, the hotel is good, and we liked it and had a great time there. We will come back, even if not to this one, but to one of the Pickalbatros resorts for sure! When I visited Egypt for the first time (being a child), it looked like a mess of grey, yellow, and orange to me from the plain. I thought it is not a nice country. I thought the sun has burned all the greenery here. I did not like Egypt. Years passed, and I can say now - this country is rich. It is rich in its history, in ancient architecture's miracles that we still can see and enjoy. It is rich in its underwater world. It has so much what to show to its guests. And hotels service may be not so high as in Europe, but it is enough high if you choose 5* hotels. 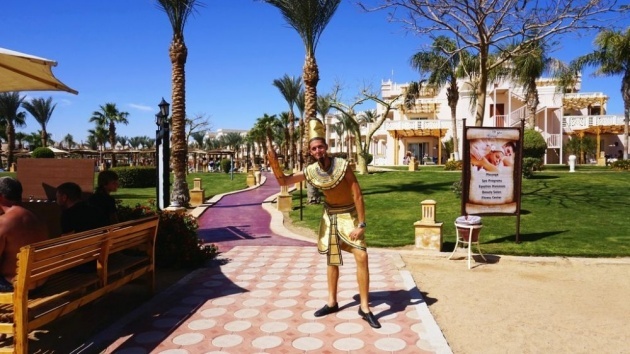 So, do not wait for too long - visit Egypt, get to know its smiling friendly people, explore its sights, and dive into the exotic underwater world.